Zoe and I took a last minute trip down to Utah this weekend. This meant I packed up as much as I could in about 5 hours to bring down to my parent's house. We had some extended family that was in town, so we spent Friday evening hanging out with them. 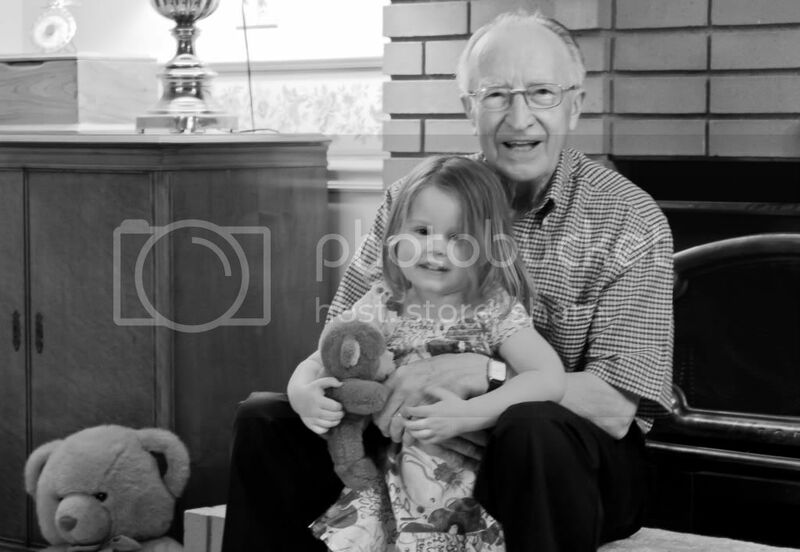 I snapped this picture of Zoe and Great-Grandpa. I realized I have hardly any pictures of my or Ryan's grandparents with Zoe. and that made me sad, so I am determined to take more! This week is going to be busy with finals and packing but I'm hoping we'll have a little bit of fun thrown in. Good luck with finals Ryan! Good luck with the move Holl! Miss you! We need to catch up sometime! Hope you had a great time and wishing you lick with the move!